FRONT ROYAL, VIRGINIA-- Bing Crosby Stadium was not kind to the Purcellville Cannons on Saturday night as they fell to the Front Royal Cardinals, 12-1. The 11-run defeat was the largest loss suffered by the Cannons this summer, and dropped the team's road record to 3-13 on the year. The lone bright spot for the Cannons came in the game's opening frame; DeNathan Dukes (Norfolk State University) led off with a walk and was knocked in on a 2-out double by third baseman Tyler Ratliff (Marshall University) to give Purcellville a 1-0 lead. During his current 7-game hitting streak, Ratliff is hitting .444 (12-27) with a triple, four doubles, five RBI and six runs scored. That would be the lone run allowed by Front Royal starter Stephen Xirinachs in six innings. He improved to 5-2 on the year and 2-0 with a 1.50 ERA in two outings against Purcellville. After winning his debut last Saturday against Covington, Cannons' right-handed hurler Kevin Fuentes struggled with his control against the Cardinals, walking seven batters and giving up five earned runs over just three innings, evening his record at 1-1 this season. Back-to-back walks to Michael Hartnagel and Tyler Kaiser in the bottom of the second forced in the first two of Front Royal's 12 unanswered runs to finish the game. Hartnagel and Joshua Magee led the Cardinals with 3 RBI each. Hartnagel hit his first home run of the season -- a 2-run shot off Cannons' reliever Mike Tang in the sixth-- and Magee knocked his second long ball of the year, taking Billy Cox deep in the fifth. Cox, Tang and Sage Bruhl combined to allow seven runs in just three innings of work as Front Royal capped off their scoring in the bottom of the sixth. Making his first appearance on the mound, Ratliff was impressive, striking out five batters over two scoreless innings. Shortstop Raul Cabrera's went 0-3 in the loss, ending his 9-game hitting streak. 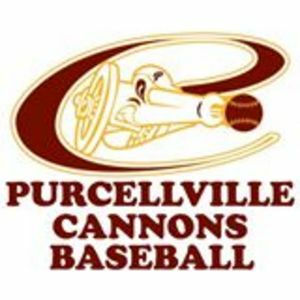 Purcellville (13-21) finishes their 5-game slate against the Cardinals with a 2-3 record, and will return home to Fireman's Field for a big matchup against the New Market Rebels (15-19), who lead the Cannons by two games for the fourth and final playoff spot in the VBL North. Left-hander Pat Doudican is 1-4 on the season with a 4.90 ERA and gets the nod against the hard-hitting Rebels' lineup that has averaged 10 runs per game against the Cannons in four contests this season. Doudican got a no-decision in his last start on July 12th, allowing three earned runs over four innings in a 6-5 loss at Winchester. RHP Joey Johnson goes for the Rebels, who enter Sunday night's matchup riding a 3-game winning streak. After winning his first three starts of the season, Johnson is 0-2 with a 5.40 ERA in his last three outings. 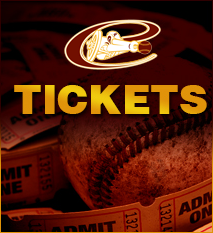 First pitch is scheduled for 7 pm at Fireman's Field, a venue the Cannons are 10-7 at this season.